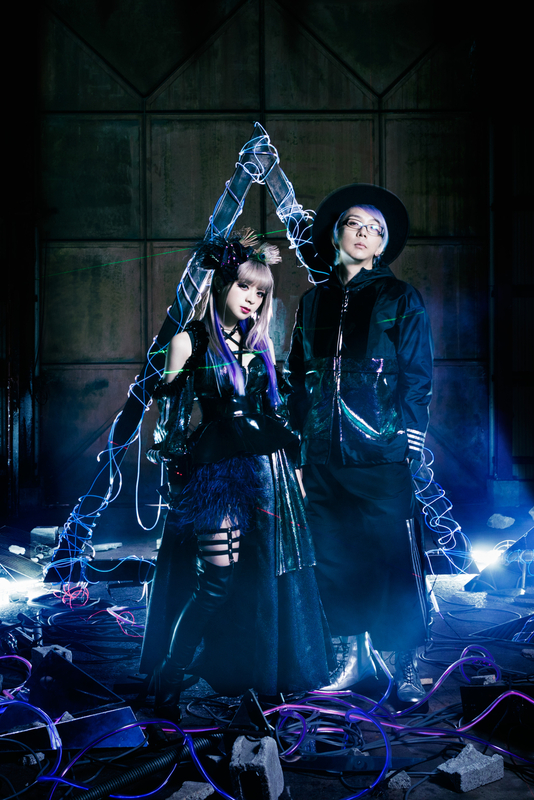 GARNiDELiA is a Japanese pop duo consisting of singer MARiA, and producer/composer toku. Their songs have been featured in many anime series such as Kill la Kill and Fate/Apocrypha. 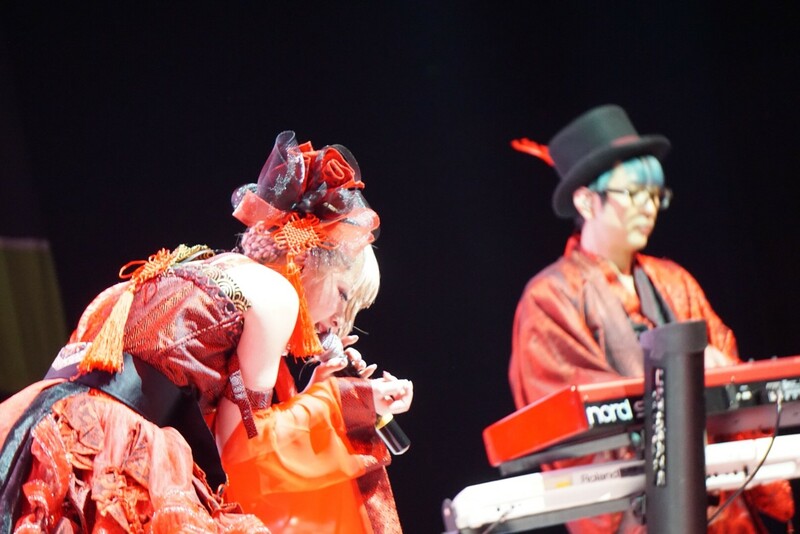 Recently they performed as a musical guest at anime convention A-Kon in Fort Worth, Texas. Your live performance at A-Kon was amazing! It was high energy from start to finish. The audience really enjoyed themselves. Were there any moments during the show that stood out to you? MARiA: Overall, everyone’s loud cheers made me so happy! Thank you! The way fans express themselves at concerts varies greatly from country to country. What were your impressions of the audience at A-Kon? 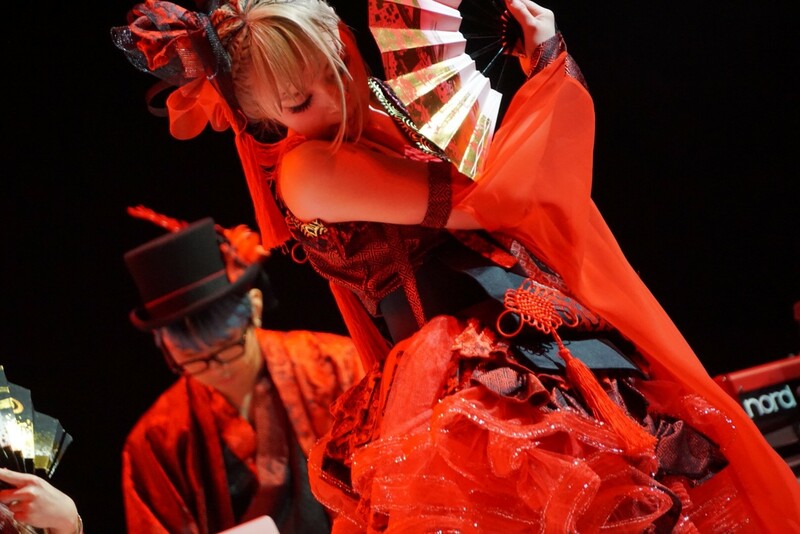 MARiA: I felt like A-Kon’s audience was enjoying themselves freely and however they wanted. Some people were sitting down and watching, others were singing along and even dancing! It was so interesting to watch from the stage. toku: Overall, I think many people hadn’t heard our songs before, but the crowd’s reaction was great all the way to the end of our performance. For us, it was great! Congratulations on your new album, G.R.N.D.. It has GARNiDELiA’s signature sound, but a number of tracks also merge other styles of music, and there are Japanese influences on, “Hysteric Bullet”, “Tougen Renka”, and “Kureha Itoshiuta”. There is also a big band/1940s influence on “Love Swing”. Was it a conscious decision to explore different genres when making this album? MARiA: With G.R.N.D., we wanted to incorporate our musical roots into the album. My singing roots began as a jazz singer, and that’s why “Love Swing” was produced with a jazzy sound. By incorporating anime themes, the “Odottemita” songs, and everything we like in general, G.R.N.D. ended up being such a colorful album. How was the process of making G.R.N.D., or the goals you wished to achieve in making it, different than your past albums? toku: It might sound like common sense, but with new material, we want to deliver music that encompasses “what we like” and “what we want you to hear at that particular moment”. This is what we had in mind when creating G.R.N.D. When you’re writing your own material compared to creating a song for an anime, is the process any different? What themes and subject matter do you like to explore and express? 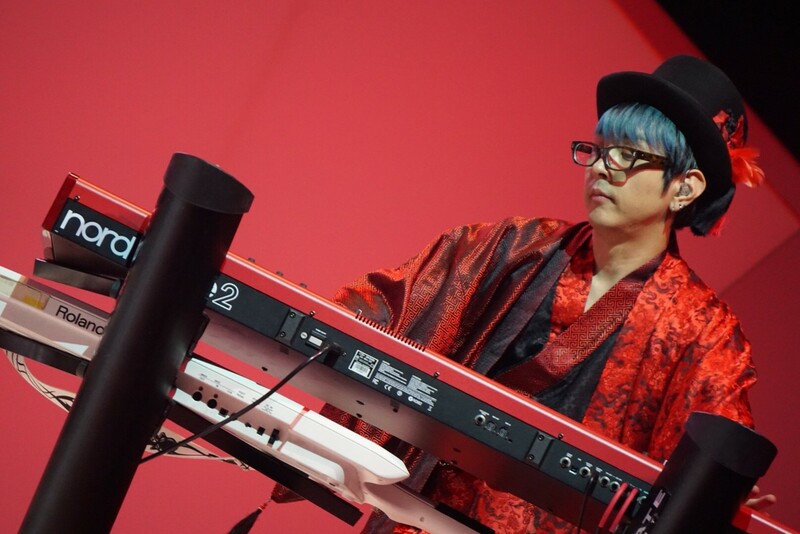 toku: When making an anime theme song, we normally receive the theme or comments from the anime’s director and production team, so we’re conscious that it’s a collaborative work. When writing GARNiDELiA songs, the two of us, myself and MARiA, come up with the theme and direction of the music. We decide based on “what songs make the crowd hype during live shows, “what songs work in the club”, and “what songs we’d like to do with a band”. MARiA tweeted a few weeks ago that she just finished some recording. Can you share any additional information on that yet? I don’t know if you saw it, but there was a flash mob event where some dance groups lead everyone in the choreography from “Hysteric Bullet”. Did you see it? This is the type of special thing that fans do to show their support and appreciation of you. MARiA: Depending on the country, the crowd’s reaction and support varies, but overall it’s interesting and makes me happy. The feelings we receive from everyone in any country are special and important! In addition to your music, when people think of GARNiDELiA, flashy costumes and energetic choreography come to mind. MARiA, how are you involved with the costume design and choreography? MARiA: I produce all outfits, from those you see on our CD covers to our live shows. As far as choreography goes, I have a choreographer that I like to work with to create the dance routines. Do you contribute to/design toku’s wardrobe as well? MARiA: Of course! I’m the point person for all visual direction for GARNiDELiA. You’ve collaborated with artists Miume and 217 by shooting a number of dance videos together and even having them join you on stage at some of your live shows in Japan. How did they become involved with the band? MARiA: At the time when I was releasing my solo album, I wanted to do something different from what I normally do as a “memory” of that moment. I thought as a singer, it would be interesting to do a “Odottemita”, so I reached out to one of my good friends, Miume, and asked her to dance with me! Then I had Miume choreograph the dance routine to the song “Girls” that was featured on my solo album and realized that rather than two people, it might be a better balance with three people instead! From there, Miume introduced me to 217 and that’s how the “Odochatte Mita” series began. Your music videos such as “Promise Code” and “Cry” are quite elaborate and are a feast for the ears and eyes. How do you come up with the concepts for the videos? MARiA: I usually take direction of the visuals, so for music videos, I create the concept with the involvement of both the music video director and toku. In addition to your own songs, you wrote “Truth” for TrySail. Will writing material for other artists be something you will be doing more of, or was that a onetime thing? MARiA, how did you get involved with modeling and partner with galaxxxy? MARiA: A friend of mine invited me to a galaxxxy party! While I was there, I was approached by a galaxxxy staff member and started modeling for them from there! Do you have any aspirations to market your own designs? MARiA: I have products that I created in collaboration with clothing brands already out and I also design all of the outfits you see on the “Odochatte Mita” series. I’d like to keep expanding even more! What’s been your favorite experience while you were here in Texas? toku: I got to see a real rodeo show. The bulls were cute.